Help us encourage our community to think downtown first this holiday season. Local businesses support local events, sports teams & charities 250% more than big corporations. 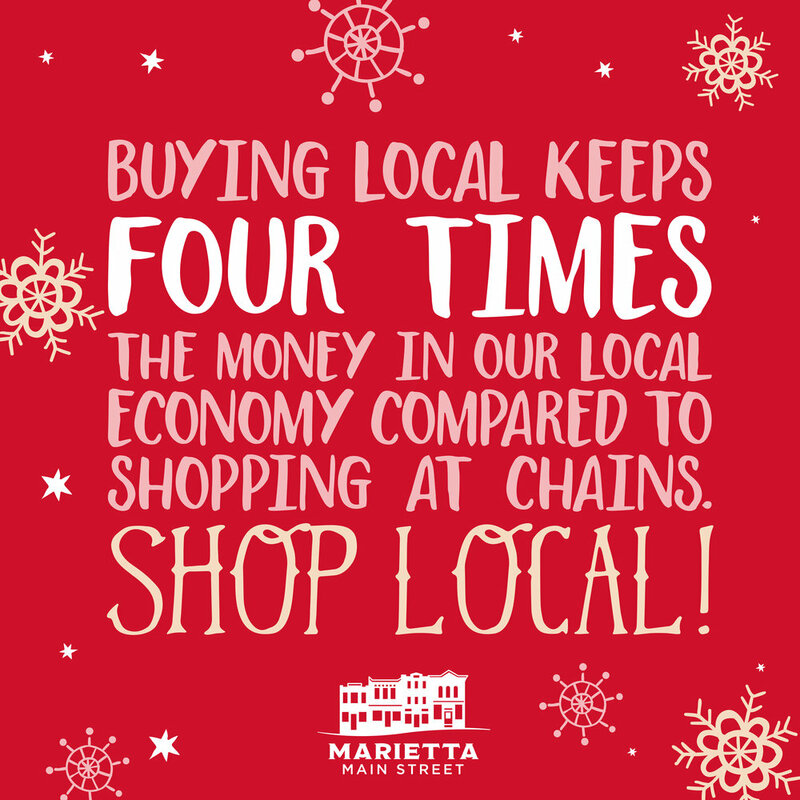 Buying local keeps four times the money in our local economy compared to shopping at chains. Help us promote the power of local by joining us in our Shop Local Holiday Campaign! Access any of the below graphics for your own uses.